Saline-filled implants are shells filled with sterile salt water. Silicone-filled implants are silicone shells filled with a plastic gel (silicone). Silicone implants feel more like real breasts than saline, but they pose more of a risk if they leak. BTW, Pamela Anderson will turn 50 this year. People do all sorts of crazy things to boost their self image. Sridevi got a nose job, a few other actors have boosted their cheeks, butts and even arms by injecting unwanted stuff in their body. It is their own preference and I am not gonna judge anyone based on what they have inserted in their flesh. 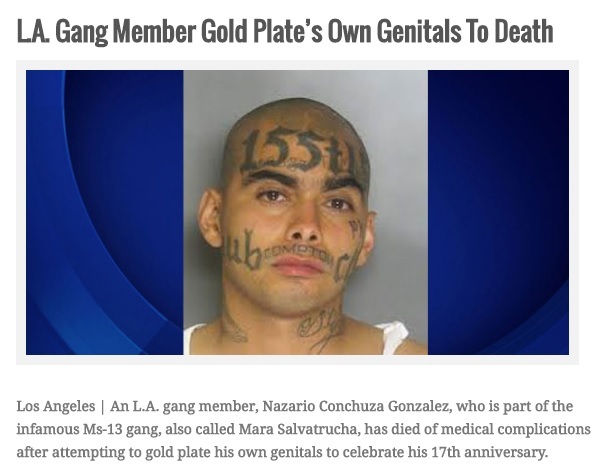 Among all the news I have read about implants in the human body, one news that shocked me was the news of the man who tried to have gold implanted on his testicles. He eventually died because of this idiotic act. You might have laughed at this news. I did too; but then I realized that a man lost his life. When we hear about all the molestation cases in India, I have an idea. All these molesters should get their testicles plated with aluminium. If I meet Nazario some where near the pearly gates, I would definitely ask him the question "Why da? Why there?"